Effortless baking, and for time saving purpose, I decided to get myself an electronic bread maker which will help to do everything, after placing the ingredients in. No particular reason for choosing this brand, it was simply because Best Denki had an offer deal for this. Original price was S$179, and I got it there at only $139. 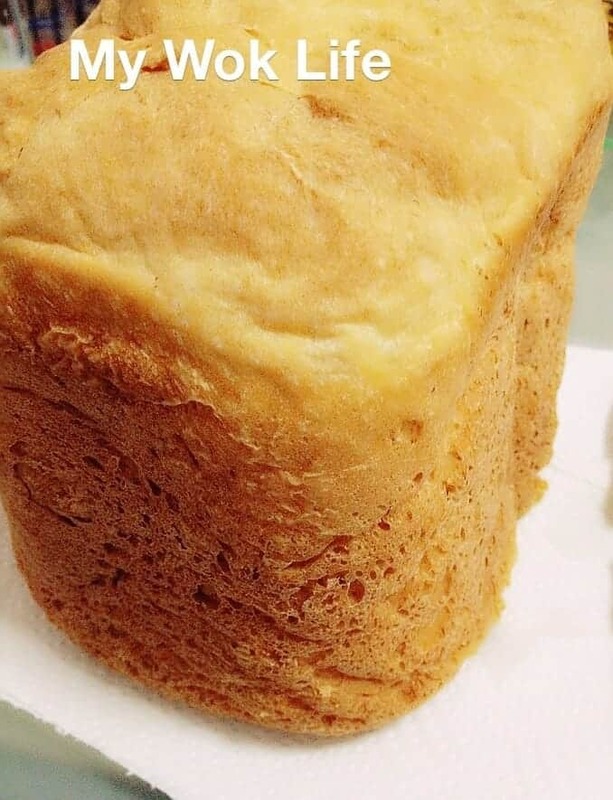 To make bread with bread maker, frankly speaking, though it normally comes with its own bread making procedures and recipes which seemed easy to follow, the truth is, these recipes aren’t prefect in taste, most of the time, at least for the recipes I have tried. I blames it to its recipe, not the maker. It was really not as flavorful as the store-bought loaves. I convinced myself that it is simply because, less is more. Less (artificial) ingredients makes healthier bread. No fanciful ingredients, only the basics were used in the baking with this bread maker. In fact, no sugar, no salt or whatsoever. Also, considered it a machine made (yes, homemade, but not handmade), after all, for the sake of convenience. So, what there to complain… Haha. 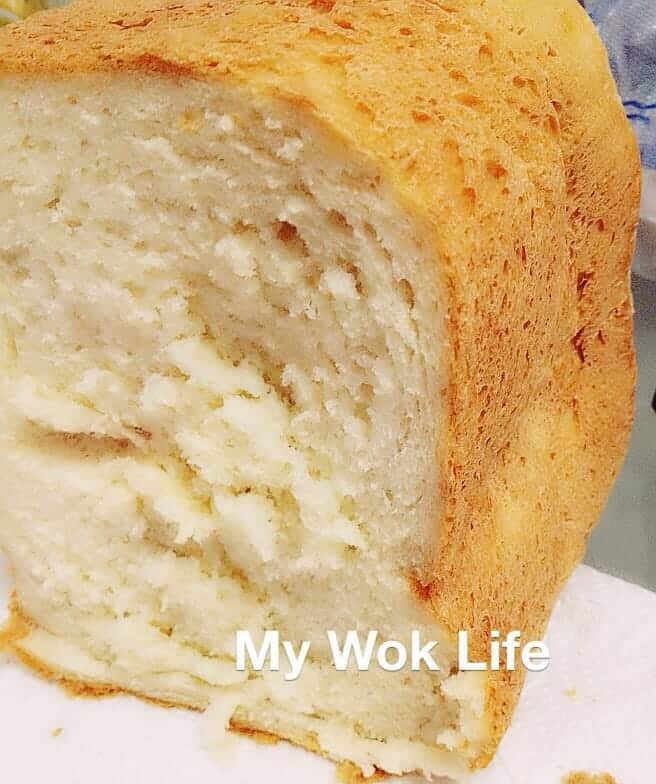 One thing worth mentioning though, the texture of the bread was cottony soft, despite a little bit denser than usual. Having said that, I still find ways to improve the taste of the original recipes there. No worries, I have successfully improved it, after a few trial. Happy. * Omit these two seasoning, if to make the loaf for baby, especially below 12 months old. Place the ingredients in the bread tin with the following sequence: water, milk, butter, salt and sugar (if applicable), flour, and yeast. Place bread tin into bread maker and operate as directed in its manual. Soft, aromatic and healthy loaf will be ready in 3 hours time. And that, I have no excuse, but to make healthy bread for my family, especially the baby. * Suitable for baby 9-months up. May consider adding BreastMilk or appropriate formula milk for your baby’s consumption. For baby above 12 months old, full cream milk is fine. ** Bread maker can be used to make more types of bakes. I will slowly explore and share in future. 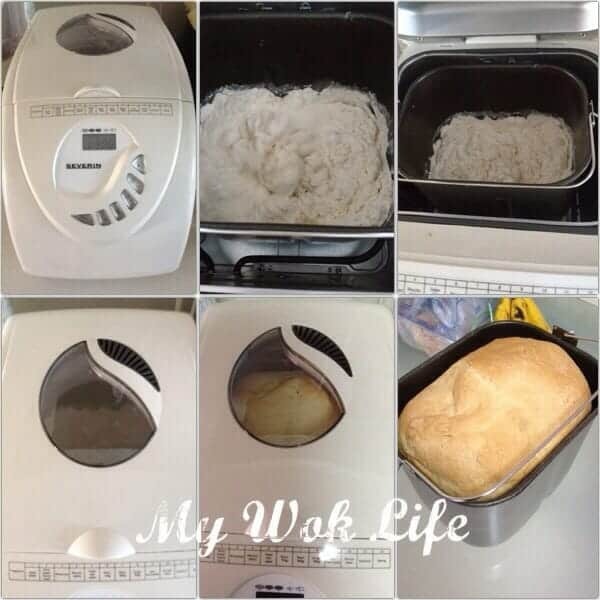 Hi Patrica, I tried this using bread machine and it was a success! :) I just got the machine so Im still experimenting on the recipes. And this one is for keeps. Thanks for the recipe and the tips provided. Next time I want to try kneading it with the mixer and my hands as I normally do. Thanks again. I have bun recipes which used hand kneading and it wS soft and fluffy and fun to do. Cinnamon buns. Go try ya! Hi Patricia, I am trying to use this recipe for my lo. My bread maker’s capacity is 500g. 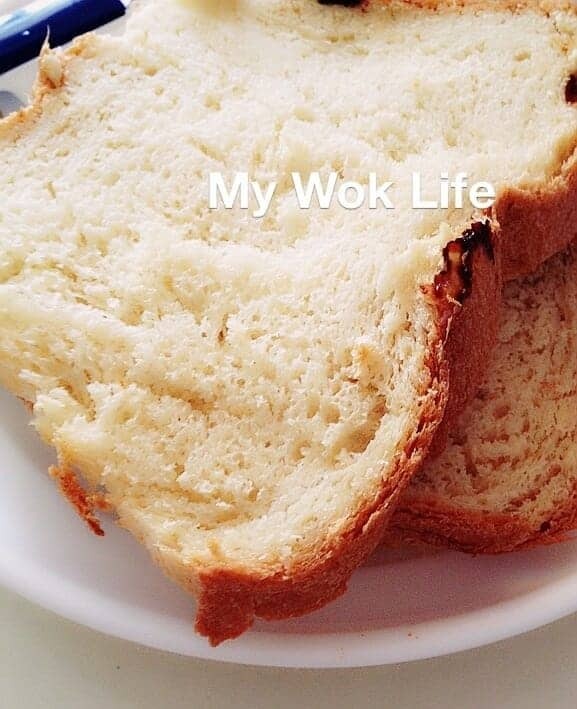 Like half a loaf of gardenia bread. Should I half the ingredients in your recipe too? Do you mean the weight of the bread made from your machine is max 500g? If so, yes. Half the portion. Possible to substitute full cream milk with fresh milk?